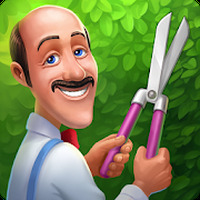 "Employ witty strategies to create a perfect garden"
Game Goal: The goal is to rebuild a garden by solving a puzzle wher you have to combine at least three identical elements. How to Play: Gardenscapes is an addictive puzzle in which you need to match three or more identical elements to accumulate points. The levels become increasingly difficult, so it's important to gain as many points as possible to unlock extra powers that will help you advance in the game. Graphics: Special electrifying effects and fluid animations make the game visually interesting. Overall, the graphics are detailed, well defined and rich in color. Controls: Touch and slide your finger on the game interface to match flowers, fruits and other similar elements. 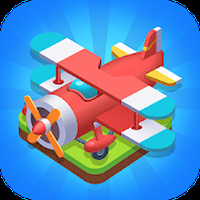 Developer: Playrix Games is based in Ireland	- Developer recommended by Google Play. Installation requirements: A minimum of 89M of free memory space and Android 4.0.3 or higher. Rating: The TOP 1 Most popular games in Sliding Puzzle category. Do you like Gardenscapes - New Acres?